ATLANTA - As Atlanta plays host to Super Bowl LIII, the Metropolitan Atlanta Rapid Transit Authority (MARTA) is partnering with rideshare company Lyft and scooter rental company Lime to offer discounts to customers. 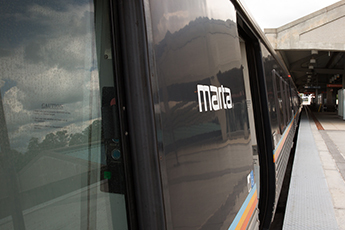 Lyft is offering up to 50% off each ride with the promo code “SUPERMARTA” for customers traveling to or from MARTA stations. Lyft trips to and from Airport, Vine City and Dome stations are excluded from this promotion. Total savings with this discount are capped at $10 a ride for up to 10 trips. With the coupon code “MARTAGAMEDAY,” MARTA customers will receive up to $3 off Lime scooter rentals. The promotion is for $1 off the first three trips.